This summers plan an exciting tour to the most beautiful and picturesque Leh in Ladakh. The article below mentions details for the 8 days 7 nights tour package to Leh exclusively, organized by none other than Kesari Tours. Kesari is one of the most popular travel company preferred by families all around India. Kesari tours promises excellent travel packages with no hidden costs and no compromise on sight seeing. Moreover 100% customer satisfaction is guaranteed.Leh in Ladakh is one of the most amazing travel destinations in the state of Jammu and Kashmir. The Leh Tour Package is one such promising holiday tour package, exclusively customized for families as well as business travelers.Moreover Kesari tours are not very hectic and also allow you some quality time to relax and enjoy the scenic beauty around you. This tour package is also ideal for foreign tourists as it promises safety and exclusive sightseeing to the Leh in Ladakh. Arrival at Delhi, reaching hotel. Day to relax as its a great day ahead. Take a Leh Flight from Delhi Airport and reach Leh. Relax in your hotel room and enjoy some free time. The sightseeing begins with visit to the Indus River, Shet Palace which is one of the most ancient palaces of the Ladakh Kings. Then you reach the most famous, Thiksey Gompa Hill Top Monastery, pay a visit and proceed to Hemis Gompa and the Stok Palace Museum in Ladakh. 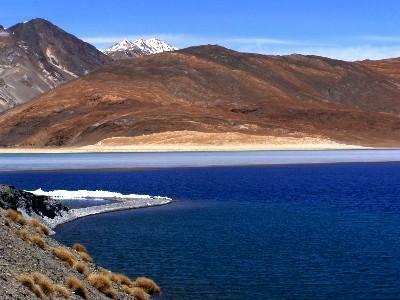 The next day begins with great excitement as you travel to Pangong Tso, one of the largest lakes in Asia and spend the whole day exploring it. Watch all the rare species of birds and animals in their natural habitats. Also enjoy the beauty surrounding the lake and watch how the water stretches far back to the boundaries of China and Tibet. Visit the most famous Nubra Valley which is located to the north of Leh. 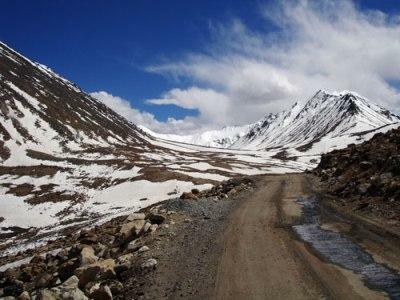 One of the highest motorable roads in the world, Nunra Valley is the most important trade route from Leh to Kharga. Moreover one can see many monasteries on the way to Nubra Valley. Nubra Valley also offers innumerable trekking options. Nubra Valley houses two monasteries, the Sumur and Diskit Gompa. The Diskit Gompa is 350 years old monastery famous for its murals. From here visit the Khardung Village and enjoy a country side drive, which passes through nbarrow lanes crossing the Shyok River and finally reach Diskit. Today visit the most famous Shanti Stupa, a 25 years old monastery which was built by Japanese Buddhist Organization to celebrate the 2500 years of Buddhism. Located in Chandspa, this monastery serves as one of the best tourist attractions in Leh, with its fascination architecture. Today this beautiful journey comes to an end as you finally depart from Leh to your hometown.